The award winning turn based strategy game with low poly graphics. Lead Your civilization to victory by expanding your empire and researching new technologies. Enjoy bigger and more customizable maps than in the mobile version. Play online against your friends on iOS or Android. Polytopia announces big screen debut. Bigger, better, customizable & cross-platform. Midjiwan is announcing that they are closing in on releasing the game on PC & MAC OSX. Some of the unique desktop features will be the custom game mode that lets You set the size of maps from tiny to massive as well as choose from a range of land configurations such as dryland, archipelago and water world. In addition, The desktop version will feature keyboard controls and shortcuts. As for the multiplayer fans, they will be able to play online cross-platform with the mobile versions of the game. You will not be required to invest in a new computer to play Polytopia on Your desktop as the hardware requirements are very moderate. The Steam version will cost $9.99 and include all the 12 human tribes. Additional “special Tribes” will be available as DLC components. The release is planned during spring 2019. The exact release date is not set yet. Players can now Wishlist the game to make sure they get updated on the release date. 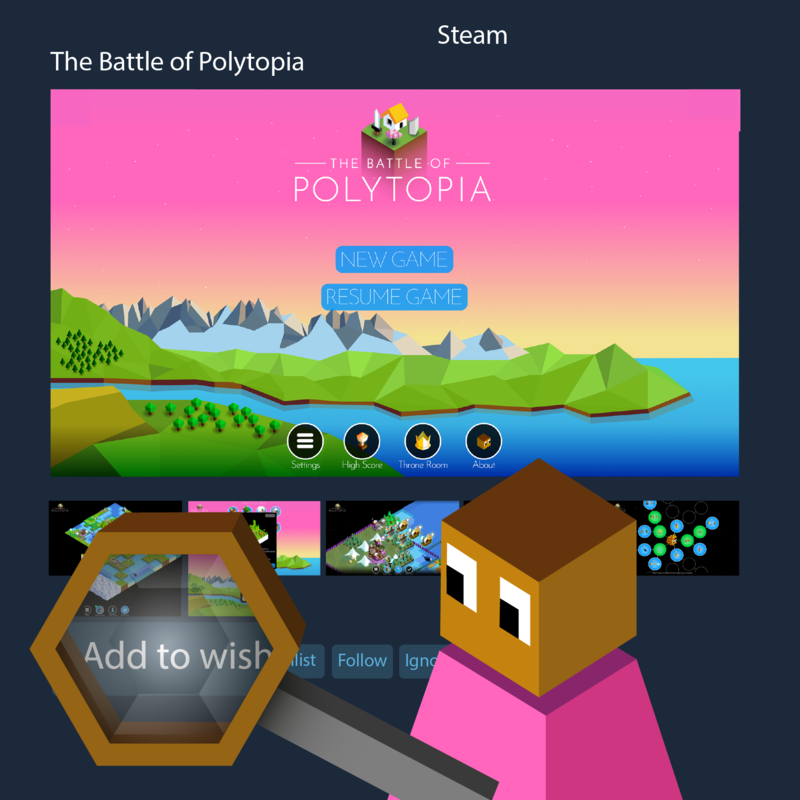 Have You wishlisted Polytopia yet? 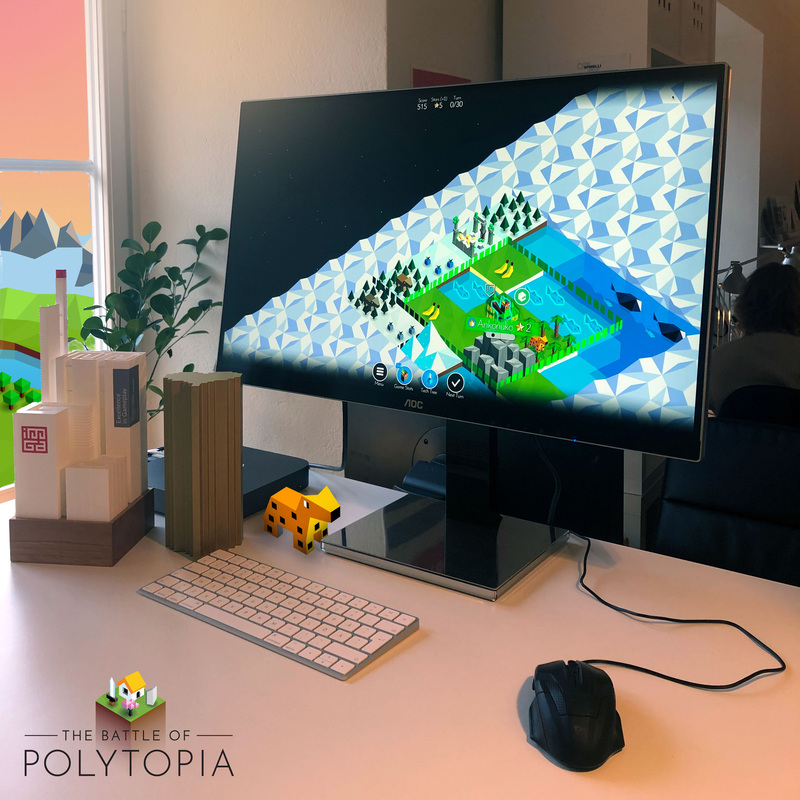 The launch of the PC & Mac OS version of The Battle of Polytopia on Steam is getting closer. Go to our Steam page and add us to Your wishlist so You don't miss out on the early bird discounts & perks. The Battle of Polytopia is a unique turn based strategy game about ruling the world, fighting evil AI tribes (or other players), discovering new lands and mastering new technologies. You take on the role of the ruler of a Tribe, starting with one advantage over the other tribes, and attempts to build a civilization in competition with the other tribes. Wander in the dark cold forests of Barduria, explore the steamy Kickoo jungles or claim the lush field of the Imperius empire. Each match takes around 30 minutes to complete while still providing a deeply strategic and challenging gameplay. It is intended to be a bite sized alternative to other time consuming 4x strategy games. The Battle of Polytopia is a successful indie title enjoyed by millions of fans on mobile and tablets. * Turn based civilization strategy game. * Exploration, warfare, farming, building and technology research. * Pick and choose among a wide range of different tribes with unique nature and culture. * Auto generated maps make each game a new experience. * Strategy multiplayer online & Pass & Play. * Leader board with top scores for the best civilization builders. * Really Cute low poly graphics. * Bigger maps with map settings (more/less water etc.). * Keyboard controls & shortcuts. We will release when the game feels purrfect. Add it to your wish list to keep updated.